This isn't good. The Citi Center has ended its sponsorship of the annual summer Shakespeare on the Common event. The Shakespeare Company says they will continue to put on performances, but they're gonna need someone to step and sponsor it. It's an expensive production to put on. The Citi Performing Arts Center will no longer sponsor a free annual Shakespeare production on the Boston Common, Citi Center officials confirmed yesterday. But that does not mean the end of the popular performances, said Steven Maler, founding artistic director of the Commonwealth Shakespeare Company, which has staged the production in partnership with the Citi Center. Any wealthy Bostonians out there want to swoop in and save the day? Call up your friends, have a fundraising dinner, and so on and so forth. Or maybe one of the big companies in the area like Fidelity adopt the event and be a corporate sponsor. If the MFA can raise $500 million dollars, (here) the Shakespeare Company should be able to raise $1MM. 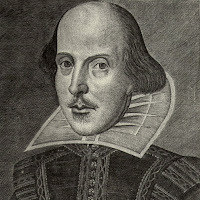 0 Response to "Shakespeare on the Common Loses Sponsor"